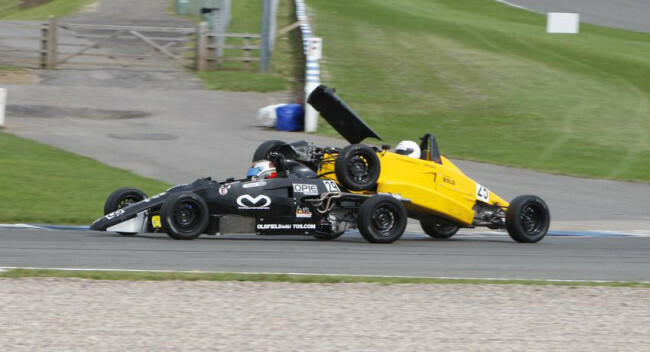 Opie Oils Sponsor Ben Harrison sent in this fantastic Race Report of round 8 & 9 of the A&R Racing Formula 400 championship held at Donington Park. 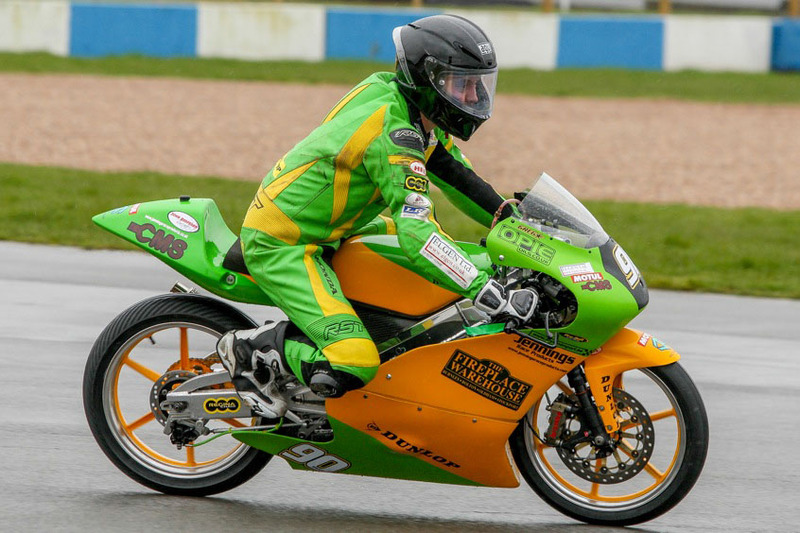 “I arrived at Donington feeling slightly nervous, I had a big accident at Cadwell Park a few months before in which I broke my wrist, jaw and back. I had surgery on my wrist, screwing and plating it back together and had screws in my jaw for 2 weeks also. This was extremely uncomfortable but at no point was I ready to give up and stop racing, it made me want to get back racing even more. Donington would be my first race back after my crash, so with the bike having a fresh new look and my injuries all healed up I was interested to see how the crash might affect how I rode. First practice went extremely well, I went out on the bike conscious of the fact my wrist may feel uncomfortable or restrict my riding, luckily it was completely fine and I felt at home on the bike. I set a good time and felt confident I could run near the front of the pack. Unfortunately the rest of the races didn’t go the plan, I had an issue with my gear shifter jamming up in the F400 Qualifier race so I pulled in and focussed on getting it fixed for the F400 final.The final went no better as the clutch started slipping one lap into the race, I managed to nurse the bike round and get a 7th place. There was very little time between this race and the newcomer race so I was unable to fix the issue as it got so bad that the bike was unridable, I had to no choice but to not race in the newcomers. I identified the problem Saturday evening and fixed it overnight, Sunday morning practice went very well the bike was fixed and I had tweaked the suspension which made me feel much more comfortable on the bike. The race went very well, I got a good start and latched on to 3rd place, I started following and trying to reel him in, at which point he made am mistake on the brakes and had to overshoot the last corner, I kept up the gap and finished 3rd. I felt I had the pace to get a top 4 finish but I got held up on the first lap I lost touch with the leading group and was unable to reel them in. I started to make time up on the guys in front but got caught up with some back markers having a few near misses along the way. I ended up finishing the race in 6th place. 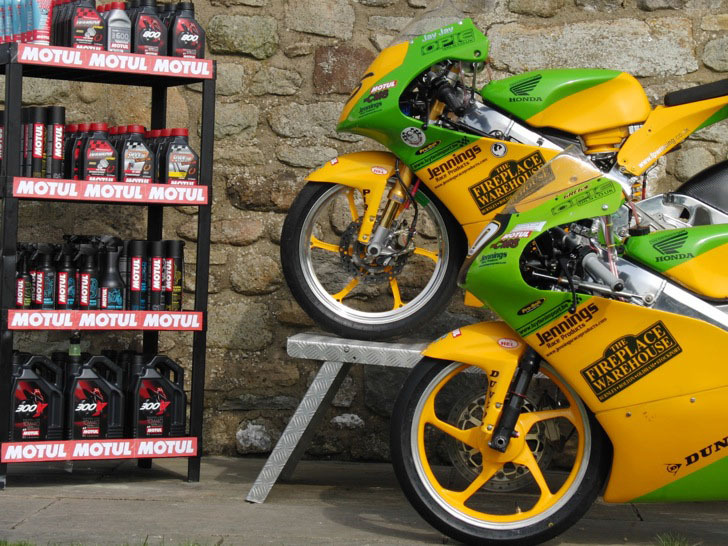 Best of luck at Anglesey Ben, we look forward to the race report. 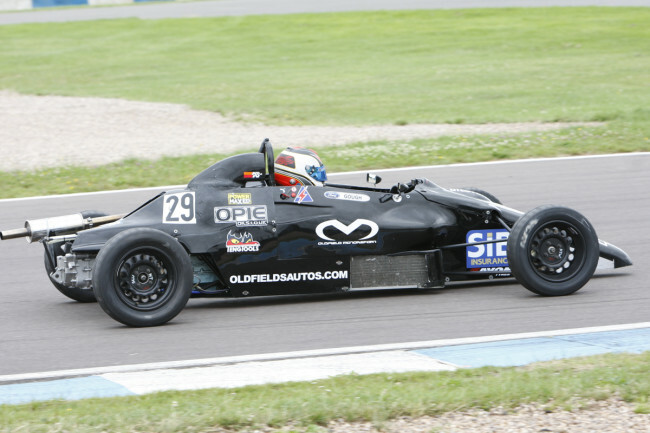 A brace of podium finishes at Rounds 7 & 8 of the 2014 National Formula Ford Championship has seen Oldfield Motorsport retake the championship lead with their driver Stuart Gough. The Opie Oils backed team saw Stuart’s Brother Ian, flying back from his base in Honk Kong, join their line-up. Ian would drive the car campaigned by Stuart so far, with Stuart stepping into the team’s second and so far unraced car which had been through significant development. The team therefore held high hopes going into qualifying, which in an ultra close session would see Stuart line-up in 4th position for race 1, some 2 tenths shy of pole position, with Ian 6th just a further ½ tenth back. With Ian unfortunately retiring early on in Race 1, it was left to Stuart to take the fight to the competition and with some great battling up and down the field, Stuart would take second position, missing out on victory by just 0.031 seconds to Joey Foster. Race 2 would see a repeat of the battle, at times featuring eight cars, and incredibly it would feature Ian who was on a charge from the back of the grid. Ultimately Ian would finish in a fine 5th, with Stuart coming home in 3rd position having led the race at various points and setting the fastest lap as he did in Race 1. The results see Stuart leaving Donington Park at the half way stage of the championship in the lead. “It was fantastic to have both our cars and drivers running at the race winning pace. Naturally it’s slightly disappointing not to win, but this weekend takes our podium tally to seven and it’s our consistency that puts us in the championship lead. Both drivers did an excellent job all weekend and we were particularly impressed with Ian’s recovery drive in Race 2. 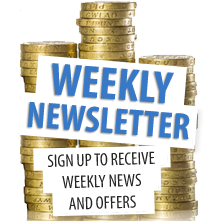 The action continues in a month’s time at Silverstone (Northampton) on August 9th. 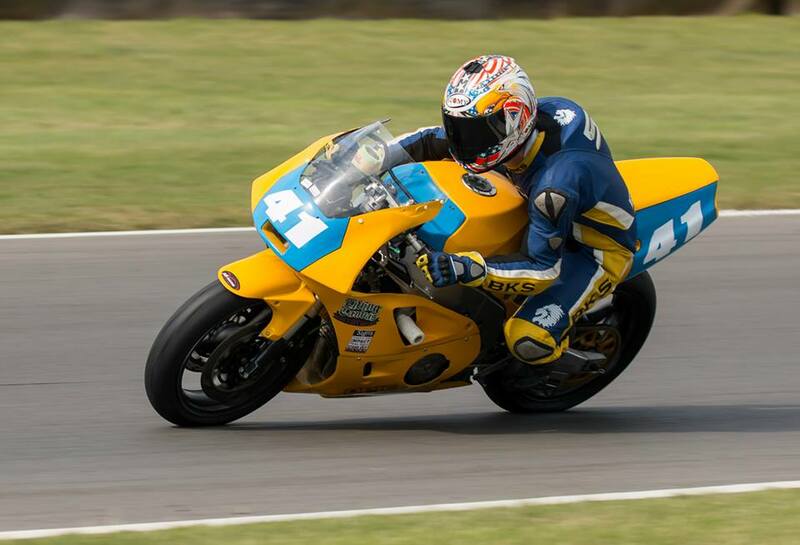 Mike Inglis, one of Opie Oils sponsors started off his 2014 season racing in two 750 Trophy Races at Donington Park. 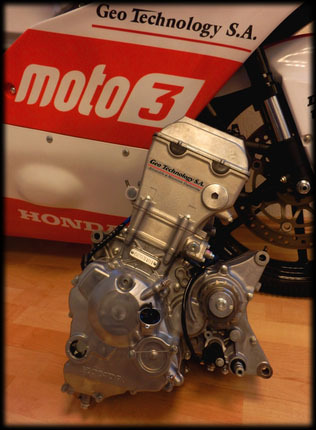 “We had two 750 Trophy races on the Grand Prix Circuit at Donington Park on Saturday 29th March 2014. I had never raced on the GP circuit before and was a bit apprehensive as the two hairpins on this circuit would not suit my car at all, with its high revving supercharger it is best on circuits with long fast corners and it is not at all good at accelerating out of slow corners. The weather was kind to us, with a warm sunny spring day. I managed a 2:26.74 in qualifying, which to my surprise put me 5th overall on the grid, fastest Class A car and amazingly nearly 4 seconds under the previous lap record. In race 1 I made a good start gaining 2 places by the first corner and I managed to hold onto 3rd overall until the faster Class C cars eventually caught me at the hairpin, but I struggled on to manage 4th overall and 1st in class with a new official lap record of 2:27.83. Race 2 started at 5.50 pm with the light fading fast. I made an even better start from 5th on the grid and was second into the first corner. Again the Class C cars caught up and passed me at the hairpins , but I clinched 5th overall at the flag in near darkness and another 1st in Class A. Thanks for the report Mike and good luck at Silverstone, we look forward to hearing how you get on.